Don’t Eat It! 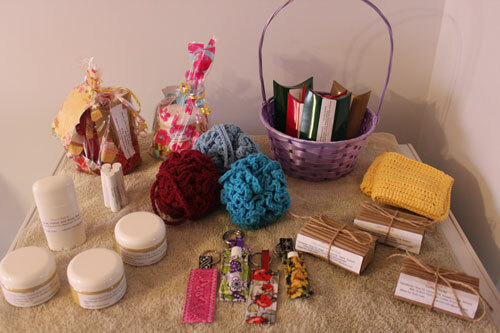 Soap and Skin Care Products are Handcrafted by Ruth Ciani. To learn more check out the other pages on this site. Pingback: Herbs that say ‘No go Buddy!’ Plants with an Attitude!!! Part 1 – A Guy Called Bloke and K9 Doodlepip! Pingback: Interactive Bloggers Call Out 6 – A Guy Called Bloke and K9 Doodlepip! Pingback: Interactive Bloggers Call Out 3 – A Guy Called Bloke and K9 Doodlepip! Pingback: I Just Wanted To Say! – A Guy Called Bloke and K9 Doodlepip! Pingback: It’s A Brand New Day! – A Guy Called Bloke and K9 Doodlepip! Hi Ruth! Thanks to another blogger I found your blog and would love to try your soap sometime. I was curious about where you live and what you look like, are there blog posts on your site with this info? Thanks for vsiting and following my site as well! Have a great day! Welcome! Simply put we live in Michigan but this post should better answer that question. https://donteatitsoap.com/2018/01/19/welcome/ As far as what I look like I don’t consider myself photogenic so I don’t post many pictures of me. There is a photo of me in this post https://donteatitsoap.com/2017/04/25/a-year-in-growing-garlic-part-viunintended-consequences/ . want a liquid yogurt soap. preferably without lye. I am too sensitive to chemicals and because of my disability bar soap sos out of my hands repeatedly. I would buy it from you if you sell to the public. Thanks for inquiring. By definition soap is made with lye – there are two different types of lye. One is sodium hydroxide which is used in making bar soaps. the other is potassium hydroxide which is used in making liquid soaps. Although I do sell my soaps, at this point I only make bar soaps. As far as making a liquid soap with yogurt I am not certain if it is possible. Since liquid soaps are made using a hot process I am afraid the yogurt would scorch. If you would like to try any of my yogurt bar soaps with a soap pouch I would make you one and send it complimentary with your order.